Another month has flown by and it is now time to report our Australian Social Media statistics for April 2013. As I have mentioned in the past, social media growth in Australia has slowed right up. The larger networks are now reaching saturation point and not growing like we saw in 2010 and 2011. In Australia both Facebook and LinkedIn are happy to speak with members of the press about Australian user numbers. For some reason Twitter has never been so willing. Last month I got a response from the official Twitter Australia, Twitter account – in regards to a question I have long been asking them: How many Australian’s are on Twitter? This is a strange reply as Twitter have commented many times to the media about the US user numbers. (Please note the numbers below are the number of Unique Australian Visitors to the site over April). 1. Facebook – 11,489,380 Australian users/accounts (down approx 220). Facebook announced they have 1.06 billion active users worldwide. Australia has 11,489,380, which equates to 1.08% of the total global user base. According to Twitter’s Business Portal - they now have over 200,000,000 active users (monthly active user). 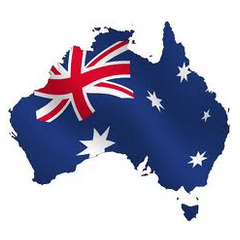 1.08% of this worldwide total of 200 million = 2,167,849 monthly Australian users. As mentioned above Twitter do not have or want to share their Australian user numbers. This is very much my estimation and if anyone can help further, please contact me. It’s important to note Facebook is well establish across the world, whereas Instagram isn’t as established in non western countries with lower smartphone uptake. This is worth considering when estimating the Australian Instagram user numbers. According to the Australian Bureau of Statistics Population clock - the population of Australia on 30/04/13 was approximately 23,007,086. Facebook has 11,489,380 users out of a total country population of 23,007,086. This means 49.9% of the total Australian population is signed up to Facebook. An incredible stat considering those under 13 are not allowed to sign up, and many senior Australian’s don’t use technology like younger generations. Why Has Facebook’s User Base in Australia Been Shrinking? Some people have been speculating that Facebook is losing users in Australia. From these stats I produce, that is correct – but there is more to the story. Facebook has been on a mission over the last year to remove as much spam and duplicate accounts from their site as possible. Much of the decreases in my opinion are because of this reason. In my opinion, a much smaller percentage of the decrease would be from users deactivating their accounts. Yes it does happen, but I think new users would make up for the deactivated users. Do remember children aged 10-12 are keen to come onto Facebook and I don’t see any reason for this trend to stop. Facebook is the biggest, largest and most engaging social network in Australia, and worldwide. If you are looking into Social Media Marketing then Facebook is where you should concentrate your efforts. The secondary networks of YouTube, Twitter, LinkedIn, and blogging sites WordPress, Blogspot and Tumblr do attract large amounts of users but have less sophisticated platforms overall. However these sites can still drive large volumes of Australian traffic. Google Plus usage in Australia is becoming very small. No-one really has concrete figures but I don’t think no more than 100,000 Australian’s use it on a monthly basis. Stats and Commentary by SocialMediaNews.com.au. You are welcome to share and post our stats on your site – simply link back to the homepage of SocialMediaNews.com.au. Content Licensed under Creative Commons License CC BY-ND 3.0. Stats courtesy: Quantcast, Comscore, Google Ad Planner tool, Google Trends, Facebook Self-Serve advertising tool, Vivid Social Research Division. Figures correct as of 30/04/13.